Well Santa and Mrs. Claus have finished their list and have checked it twice. 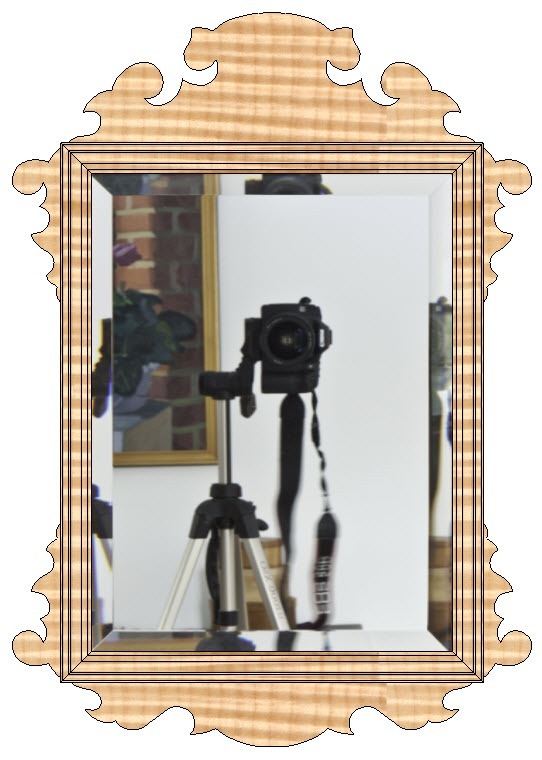 And now the nice little boys and girls in their family will each receive one of these reproduction mirrors for Christmas. 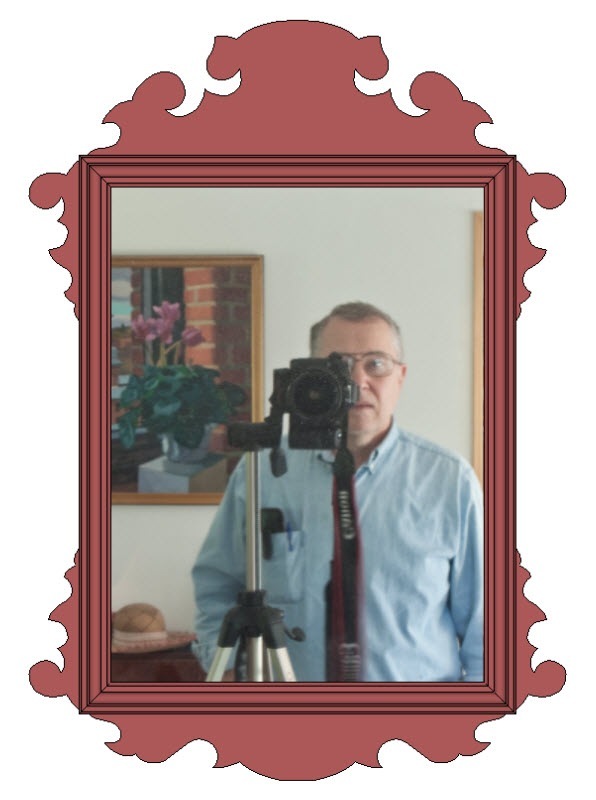 I described the origin of the original, from which these are reproduction copies, in “An American Chippendale Mirror Makes A Great Gift”. Willow and I made six mirrors in all. Five are tiger maple and one is a combination tiger maple and cherry (I have a fetish for mixing woods). 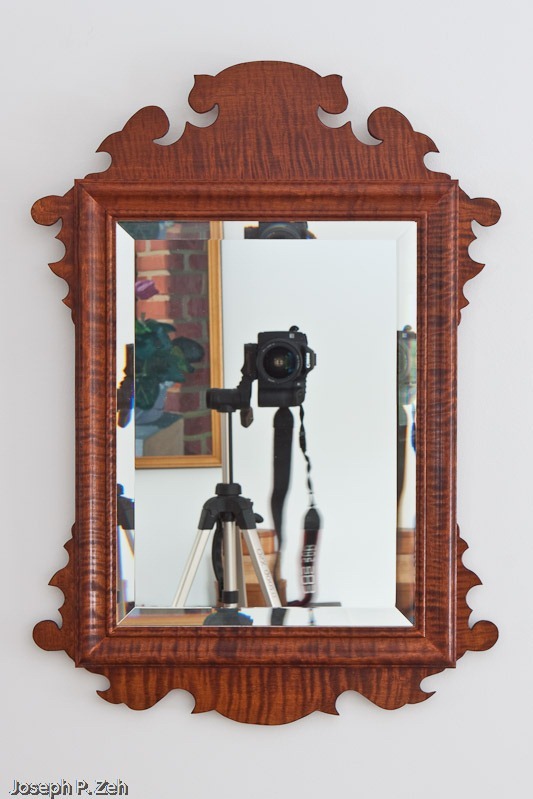 Four of the tiger maple mirrors were stained with Moser’s 1490 Golden Amber water-based aniline dye followed by 4 coats of hand rubbed Minwax Wipe-On Satin Polyurethane. This was followed by one coat of hand rubbed J. E. Moser’s Premium Quality Paste Wax. 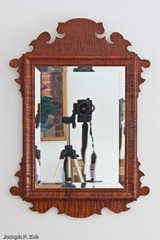 The remaining two mirrors have a clear finish; 4 coats of hand rubbed Minwax Wipe-On Satin Polyurethane followed by one coat of hand rubbed J. E. Moser’s Premium Quality Paste Wax. 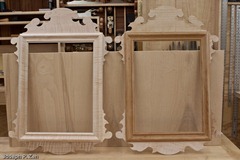 The cherry frame, below left, will darken substantially over time as it is exposed to light. This will provide a nice contrast to the blonde finish of the tiger maple. The tiger stripes are striking in all three mirrors. I am partial to natural (clear) finishes. However, the Golden Amber stain is a more traditional finish for tiger maple pieces. It’s simply a matter of taste and that is a very individual thing. Fortunately, the recipients chose their desired finish. Yes, Santa let them peak using the “anyone over 26 years of age can peak rule”. I think they will enjoy them for years to come and hopefully they will be passed down for many generations in our family. I must admit, when Willow told me we were going to make these for the kids as Christmas gifts, I was feeling a lot of “Oh Humbug” – read “Pressure”. But now I am Ho, Ho, Ho Jolly. Merry Christmas to all and to all a Happy New Year from Chiefwoodworker. 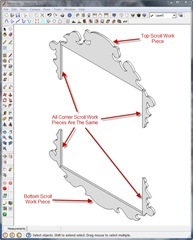 Jigs Or Fixtures? What Is The Difference? 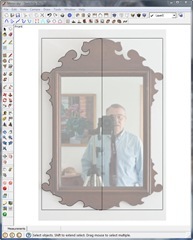 The title of this blog should be “Progress In Crafting American Chippendale Mirrors”, or some such thing. But as often happens to me while working on a project, a thought catches my attention and I can’t get rid of it. Over the last few days, while working on this project, it happened that I had to use a commercial fixture and build another fixture; or was it a jig? 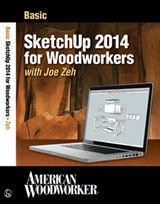 Woodworkers often confuse the two and use these terms incorrectly, as I have done here – and many times in the past. So I was compelled to do a little research. It turns out there are many mechanical engineering and fabrication books written that give the definition of, and explains the use of, fixtures and jigs. They are perhaps the most useful source in answering this question. 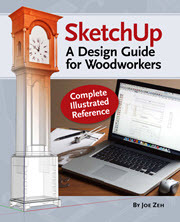 I have a number of woodworking books in my library that also give us some guidance. There is also the dictionary. After reading a number of these sources the difference is still not clear. With this definition I can actually determine what I am working with. 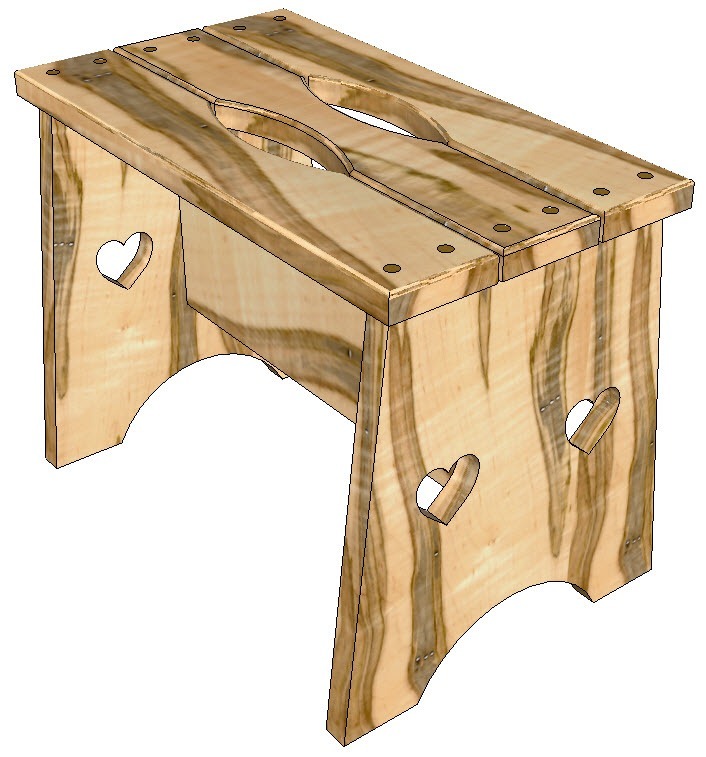 Now I can clearly say a tenoning jig is indeed a jig, and the Supreme Drill Press Table I wrote about a few weeks back is clearly a fixture. 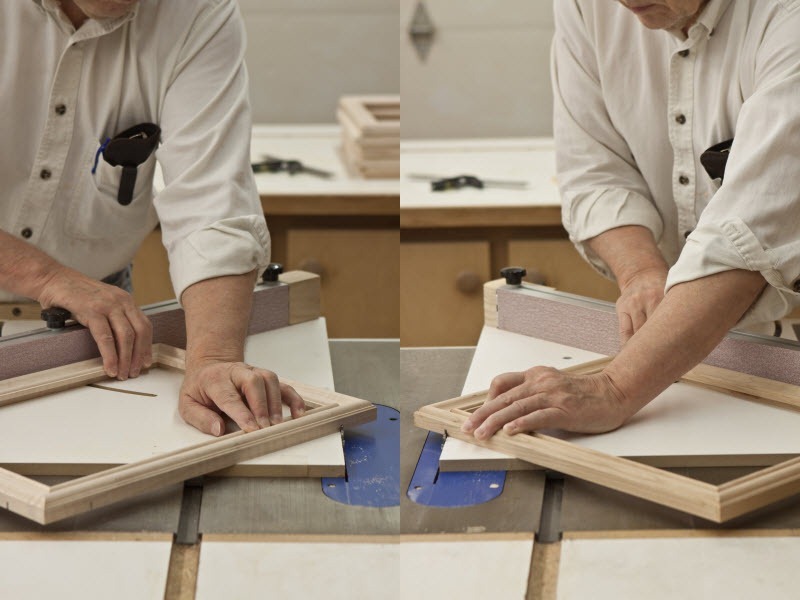 More importantly, I can say the two helpful tools I use in this blog are clearly jigs. OK, having wasted a lot of time, energy and blog space on that overdone thought I can write about “Progress In Crafting American Chippendale Mirrors”. The picture frames thus far are joined with end grain to end grain joinery; a joint which is notoriously weak and needs reinforcement. 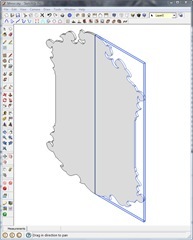 There are traditional ways of doing this, one of which is to cut corner slots and use splines. For reasons to be explained later I used a modified version of this joint. To assist me I turned to one of my favorite and most used jigs, the Dubby from In-Line Industries. In the first picture above you can see Left and Right Dubbys set to 45 degrees. I am using them to cut horizontal slices in the corners of the frame. Two opposite slices are cut with each of the two Dubbys producing the slices you see in the picture ant right above. These are the first of two cuts needed to remove triangular shaped pieces. To make the second cut I needed to build a simple jig. 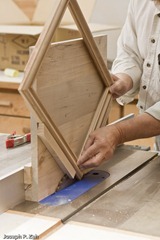 Shown in the picture above left is a vertical board with support stock glued 45 degrees to an edge. 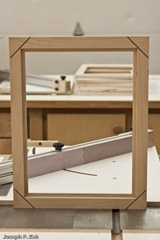 The picture frame sits in these supports allowing a properly set fence and blade to cut the corner pieces out. 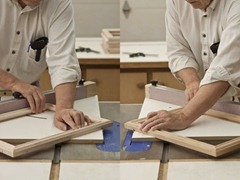 These corner pieces will be replaced with similar roughed out corner pieces with the grain arranged such that there is long grain to long grain joinery. 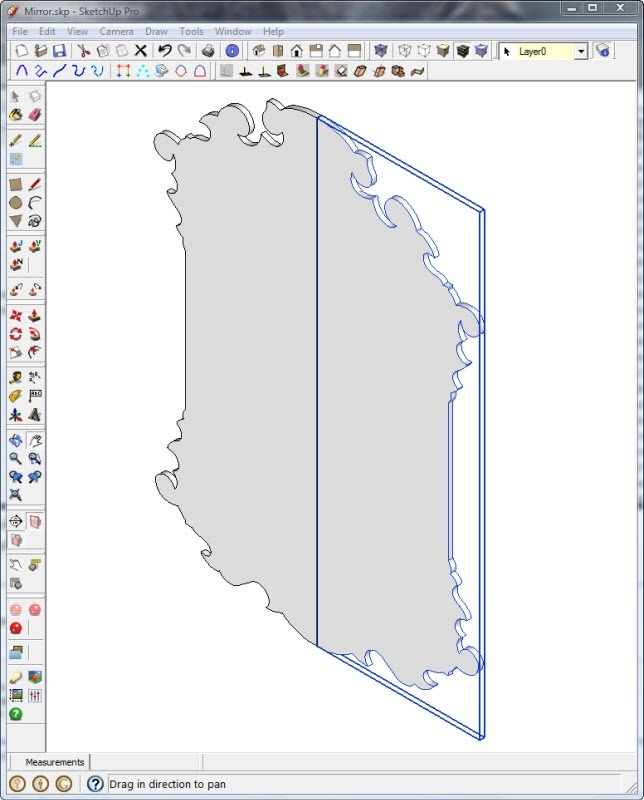 I trace multiples of these corner pieces on a rectangular piece and rough them out using the band saw, leaving just enough along the edges to assure complete coverage. 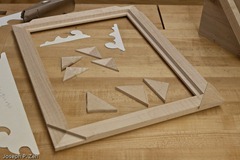 After they are glued in place I use a patterning bit in the table router to trim the edges flat. In the picture at left you can see the results. 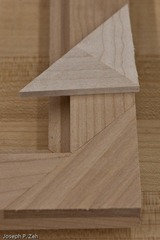 From this picture it should obvious the improvement in joinery strength. Imagine picking up the end grain to end grain piece and snapping it with your fingers. No problemo! 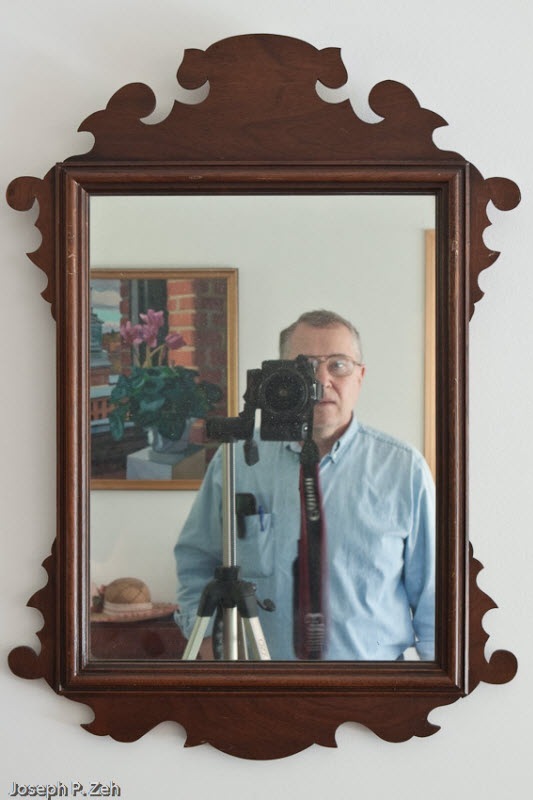 Now imagine picking up the replacement piece and trying to snap it. Good luck! 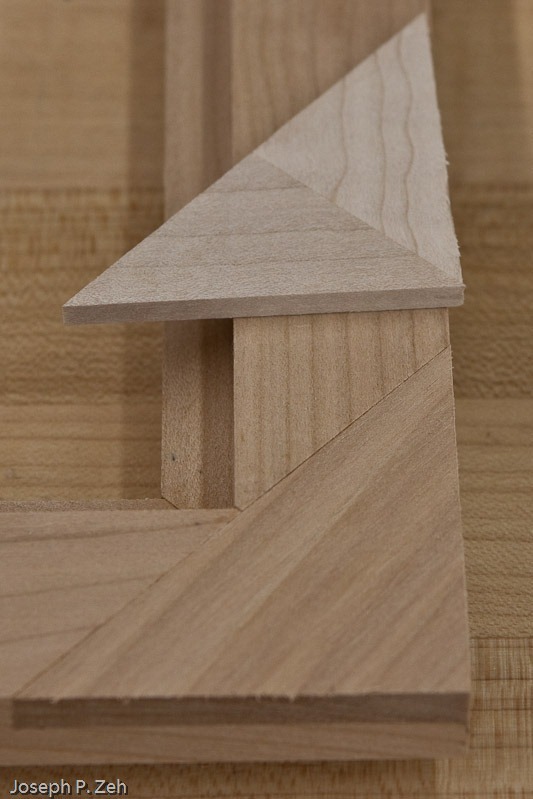 Another thing to remember is that a properly glued long grain to long grain joint is stronger than the wood itself. This has been demonstrated in numerous studies and wood working articles. 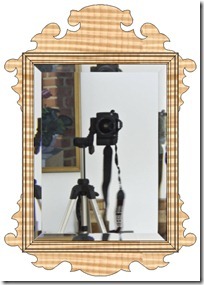 You can demonstrate this in your own shop easily. Glue two pieces edge to edge (1/4” to 3/4” thick). Let the joint cure for 24 hours. Place it in a vice with the joint near the jaws of the vice and hit the protruding piece with a hammer or mallet. You will notice (provided the joint was glued correctly) that the board will split in the grain of the wood, not at the glue line. So why did I use this modified spline instead of the traditional joint? 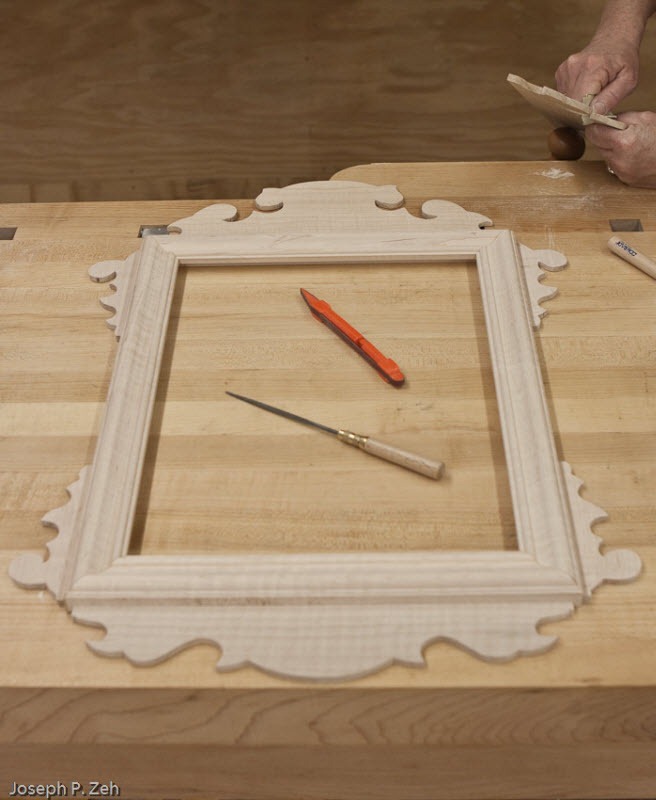 Because I need to cut 1/4” by 1/4” groves along the top, bottom and sides to accept the scroll work. 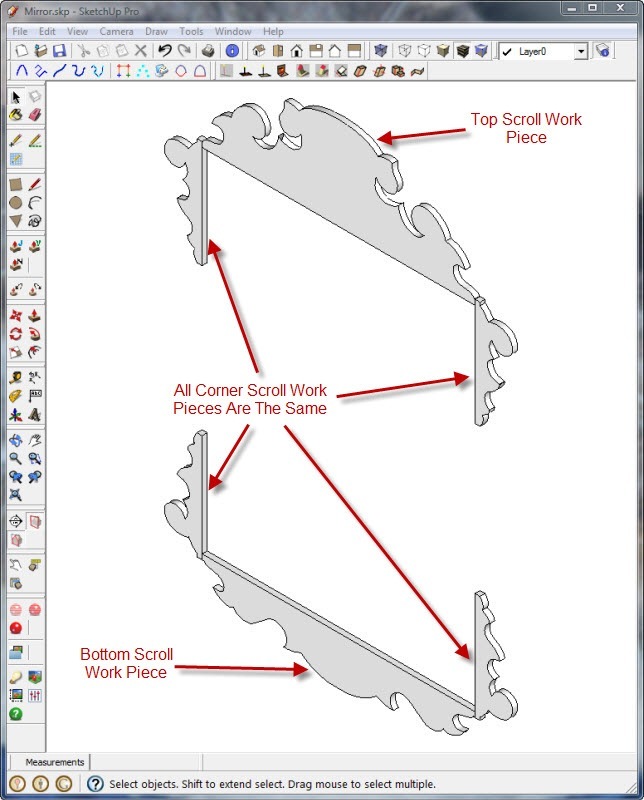 Doing so would remove a substantial amount of the spline. 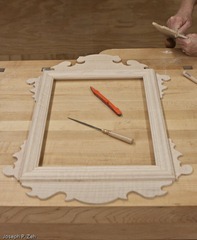 Further, the resulting joinery when the scroll work is glued in place would be long grain to end grain. Stronger than end grain to end grain but not as strong as long grain to long grain. Does this make a difference? Yes a little, especially if you are expecting your work to last for hundreds of years it does. That said, it’s six of one, half dozen of the other. 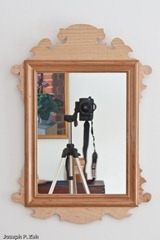 In the picture at right is the finished glued up mirrors ready for stain and finish. The strange uneven coloring is a result of using mineral spirits to search for unwanted glue spots before completing the sanding. It will disappear after drying. The mineral spirits also give you a good preview of what the tiger maple will look like when finished. You can see it is quite spectacular. 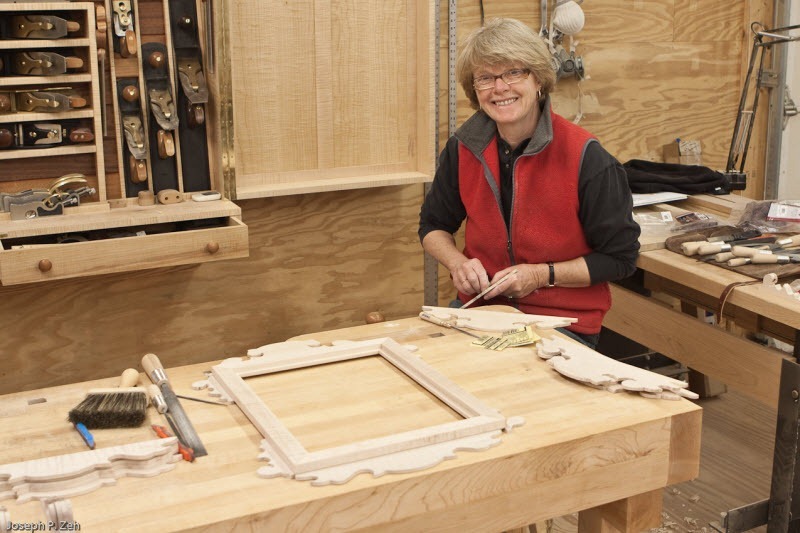 The frame at right in the picture has a cherry picture frame and tiger maple scroll work. The one at left is entirely tiger maple. I love mixing wood types. The cherry will darken over time and the tiger maple will lighten slightly making the contrast even more noticeable. 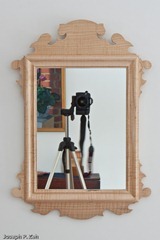 My wife and I are excited about finishing these mirrors and giving them to our kids for Christmas. 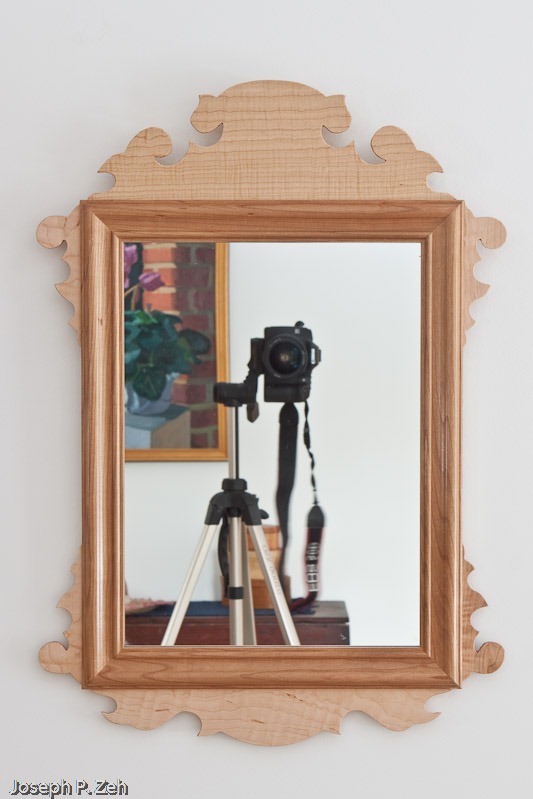 A few hundred years from now I hope a descendant will write a blog like An American Chippendale Mirror Makes A Great Gift explaining their origin. 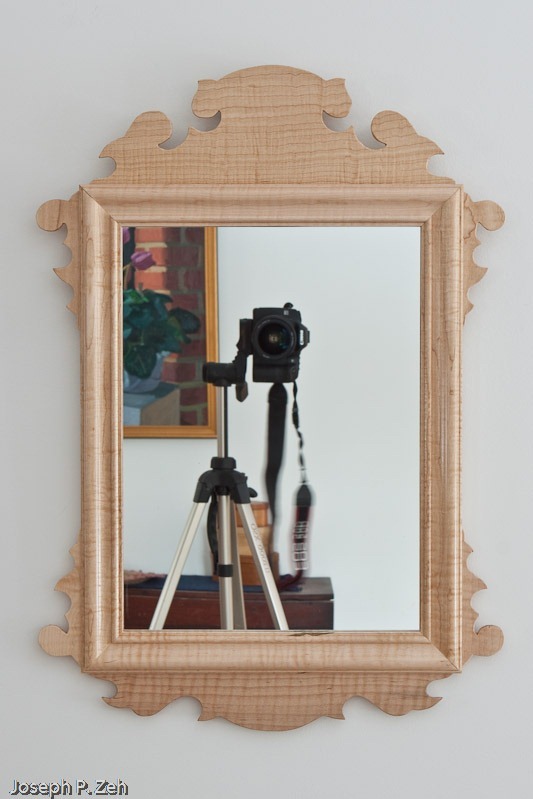 In An American Chippendale Mirror Makes A Great Gift I wrote about my wife’s (Willow’s) mission to craft mirrors for Christmas gifting. I call this a mission because once Willow decided this is what she wanted to give our family for Christmas there was no stopping her. I got my instructions – create the plans, mill the material, set up the machines and then get out of the way. I turned my shop over to a tornado. 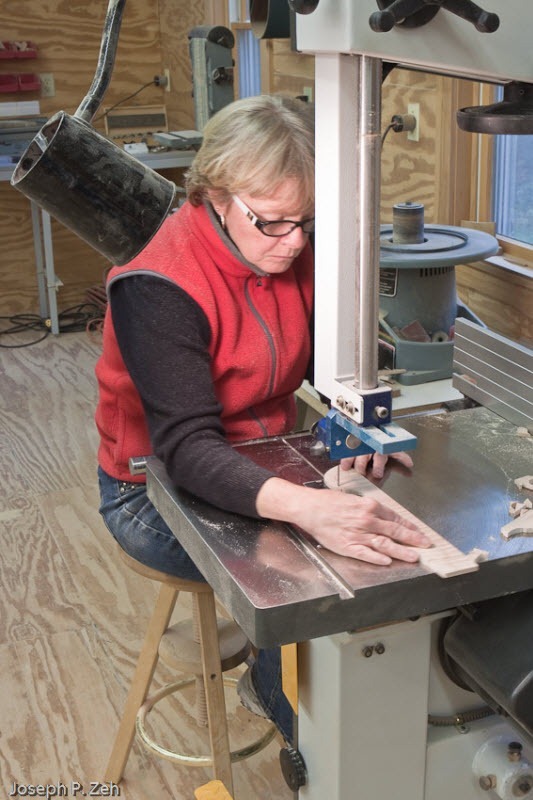 She blew through my bandsaw, Delta BOSS, sanding station, drill press, work bench, rasps and files leaving chips and dust in her wake. She left no doubt this was the first project to pass through Swamp Road Wood Works that would be completed on time. The results were every bit as stunning as the pace was fast. 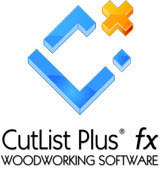 The first stop was the bandsaw. Not having a scroll saw I mounted a 1/8” blade. The design called for 1/4” tiger maple, so a 3 HP 18” bandsaw was a little overkill, but none the less made for quick and easy cutting. I printed 1:1 drawings on card stock to produce templates. 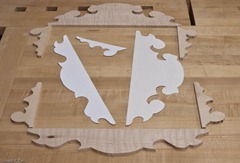 Willow traced the templates onto the material and cut out the scroll work pieces, leaving the pencil marks. 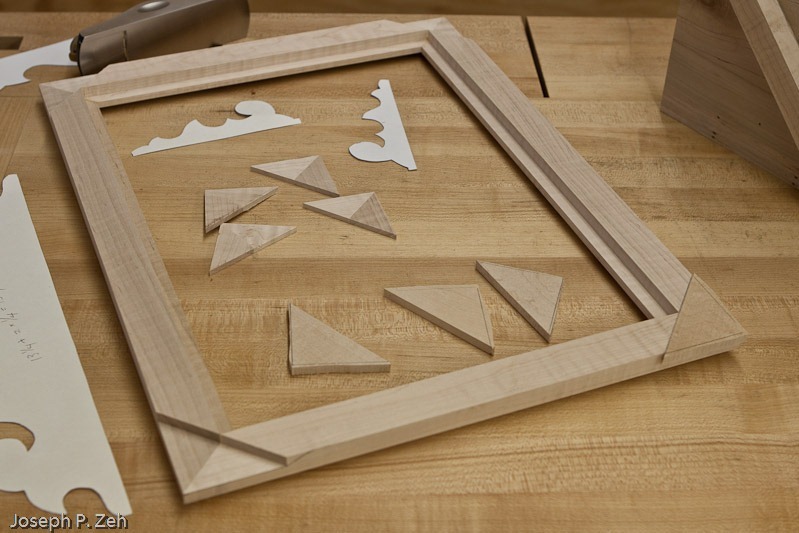 The edge finish was rougher than a scroll saw would produce. It was obvious there was a lot of sanding in Willow’s future. You can see from the picture below that she took to the task with a smile. Many of the scroll work curves had radii smaller than the Delta BOSS or drill press would accommodate, so Willow used a combination of rasps and files followed by hand sanding. In the picture at left you can see an assortment of rasps and files behind her. All told the bandsaw work and edge cleaning took two and a half days. Fortunately the shop is cozy, brightly lit. With the radio alternately tuned to NPR and sports talk for listening pleasure what more can you ask for? 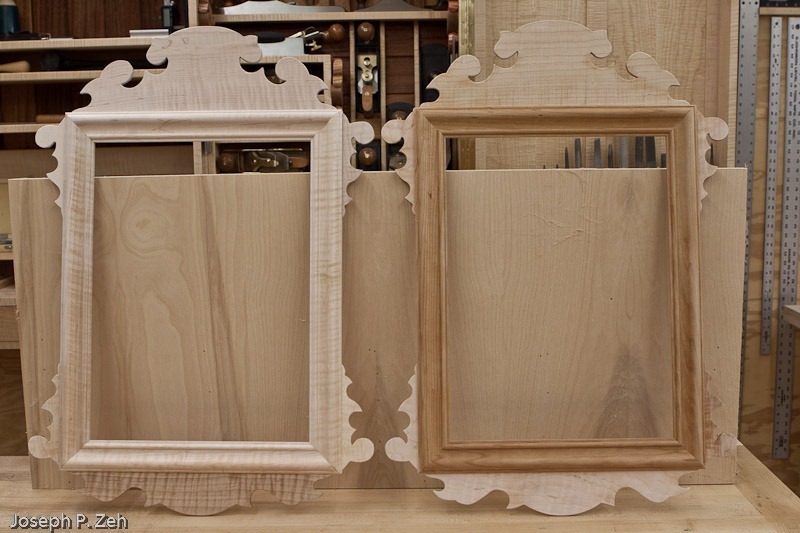 After all pieces were sanded and the picture frame molding milled, sets were chosen by matching wood grain and color. You can see one set in the picture at right. 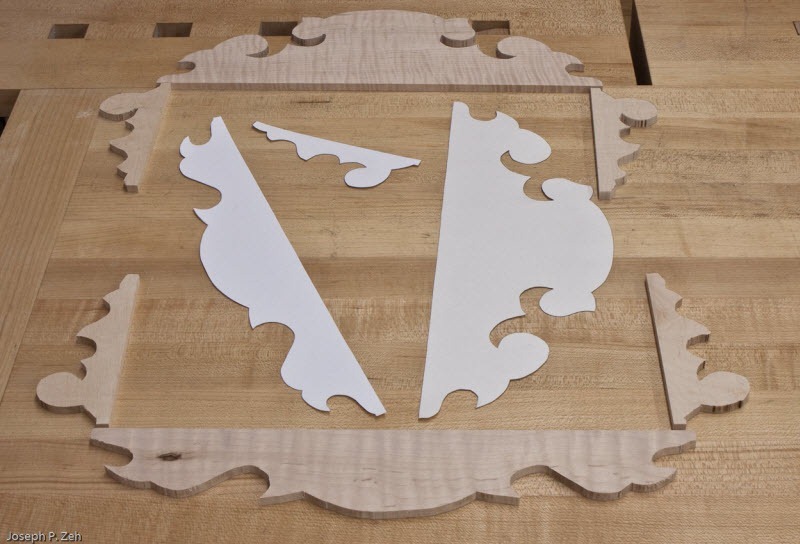 The scroll work will be inserted and glued into a 1/4” deep x 1/4” wide slot in the sides, top and bottom. The recipients will choose the finish. One very popular finish is Moser’s 1490 Golden Amber water-based aniline dye stain followed by Waterlox Original Tung Oil. This enhances the tiger stripes, making them jump out. Another finish I like is simply MinWax Wipe-On Polyurethane. I have made tiger maple tables using both finishes, a Shaker Drop Leaf Table with the Moser dye and an Office Table with the Wipe-On Poly. Both are shown on my Gallery page and both produce excellent results. I have to agree with Willow. 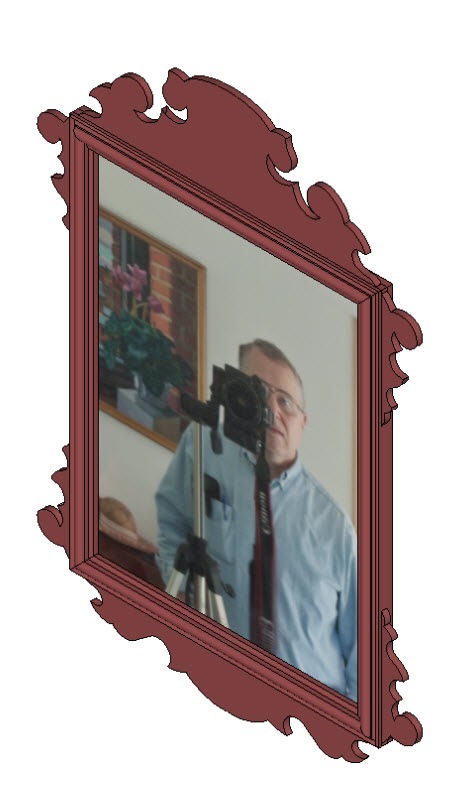 These will make excellent holiday gifts and will be passed down in our family for many hundreds of years, much like the mirror that inspired these reproductions. Now that’s a gift that keeps giving!